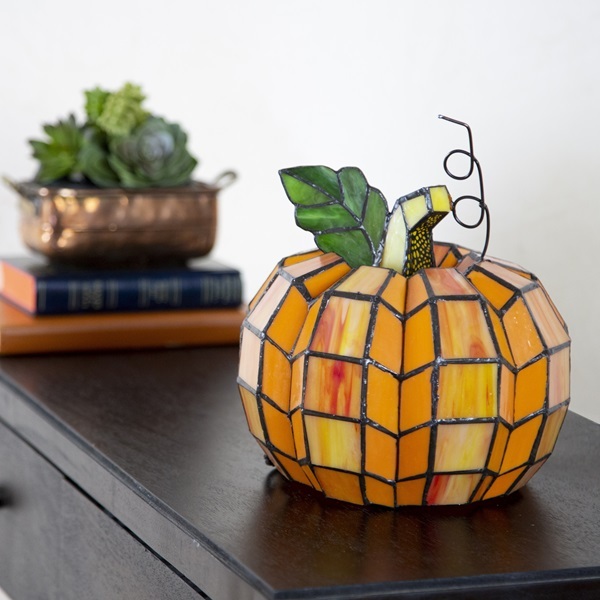 Looks good enough to eat! 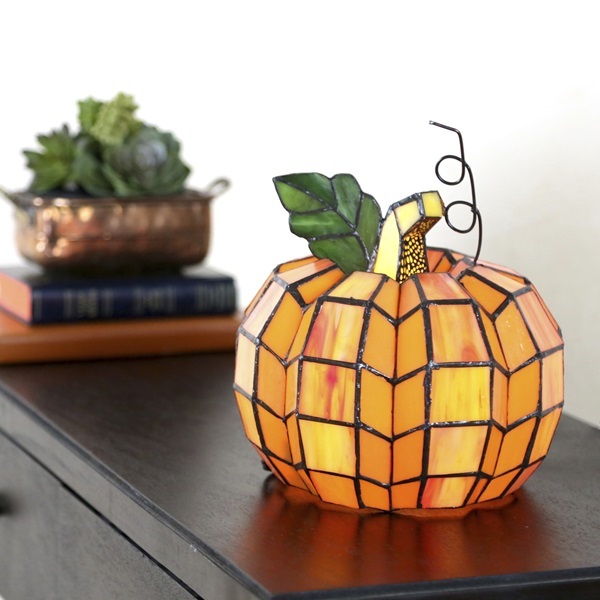 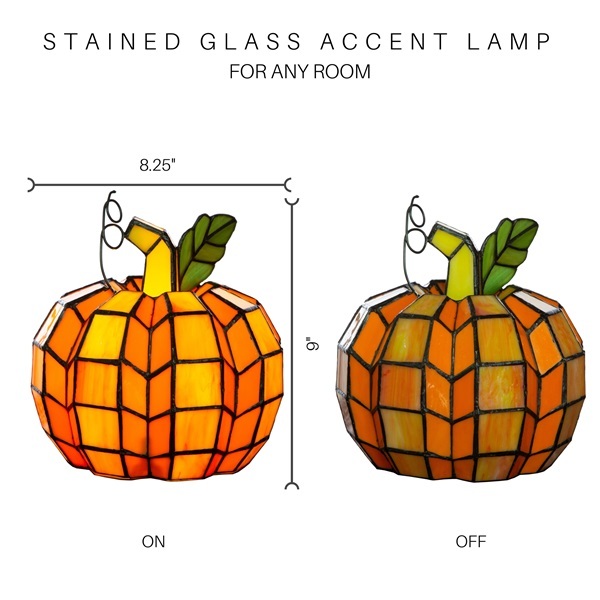 This Tiffany-style accent lamp is shaped like a pumpkin. 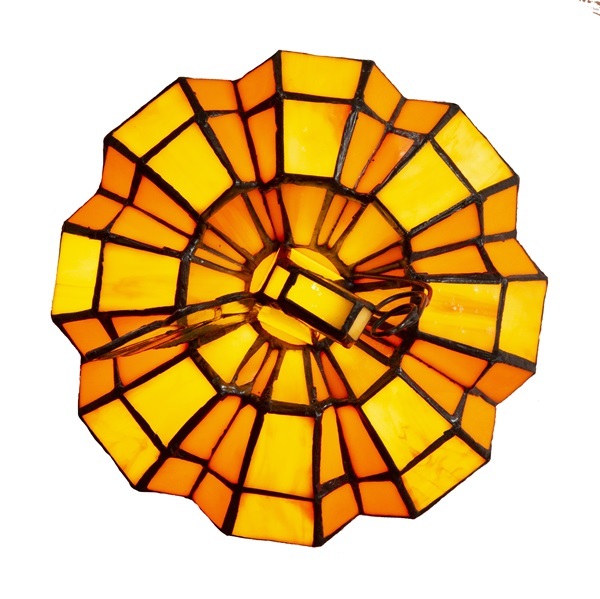 The bright orange glass is striated, creating a sense of depth and dimension. 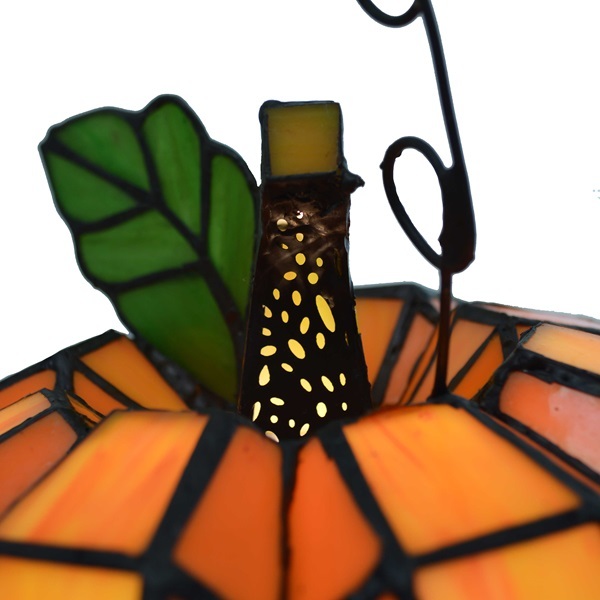 A green leaf and stem accent the orange of the pumpkin and provide a pleasant contrast. 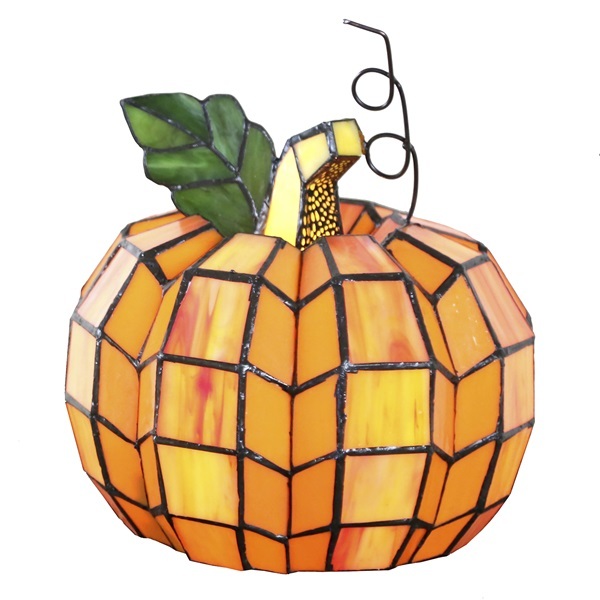 Made with 186 pieces of handcrafted glass, this pumpkin provides the holiday spirit without any fuss!